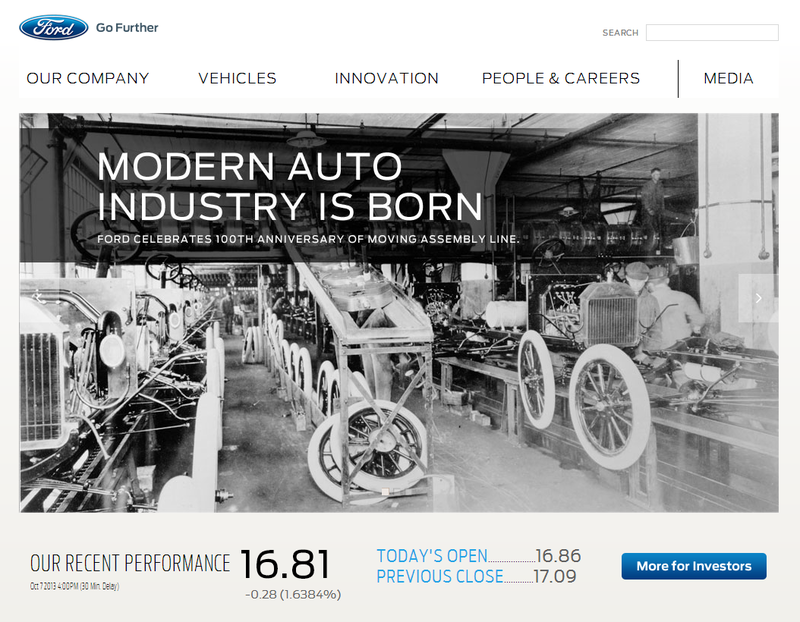 Below is a screen shot from Ford Motor Company’s web site celebrating the 100th anniversary of the moving assembly line (7 October 2013). 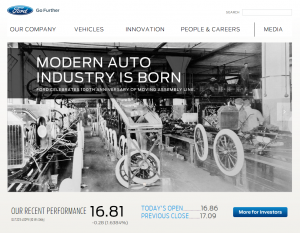 (What would Henry Ford have to say about the stock price shown so prominently below one of his signature accomplishments? I bet he’d be really annoyed and have it removed). 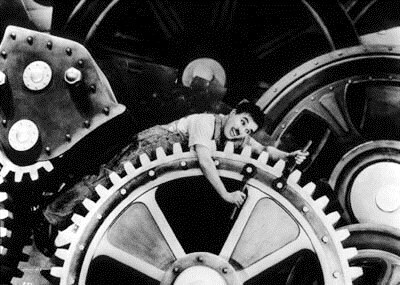 While we celebrate this great accomplishment, we must also remember that moving assembly lines have been misused by many organizations to speed people up and burn them out, as depicted in Charlie Chaplin’s famous film, Modern Times. Modern Times was released 23 years after Henry Ford and Charles Sorensen introduced the moving assembly line at Highland Park for Model T automobile production, reflecting the lag time between invention and the broader recognition in popular culture of its misuse. The Lean community has experienced a similar phenomenon, but without the movie (though in some ways Office Space and the TV series The Office come close). It took from around 1975 to the mid-2000s for people to more broadly recognize that Lean management was usually understood and applied in ways that harmed people – particularly employees. The Fake Lean-REAL Lean distinction that I began using in 2000 or 2001 draws an important contrast intended to help reduce variances in understanding and application. It would be a shame if this great invention, Lean management, created by so many people over the last 100 years, were to disappear because popular perceptions of Lean (i.e. Fake Lean) beat out the facts.